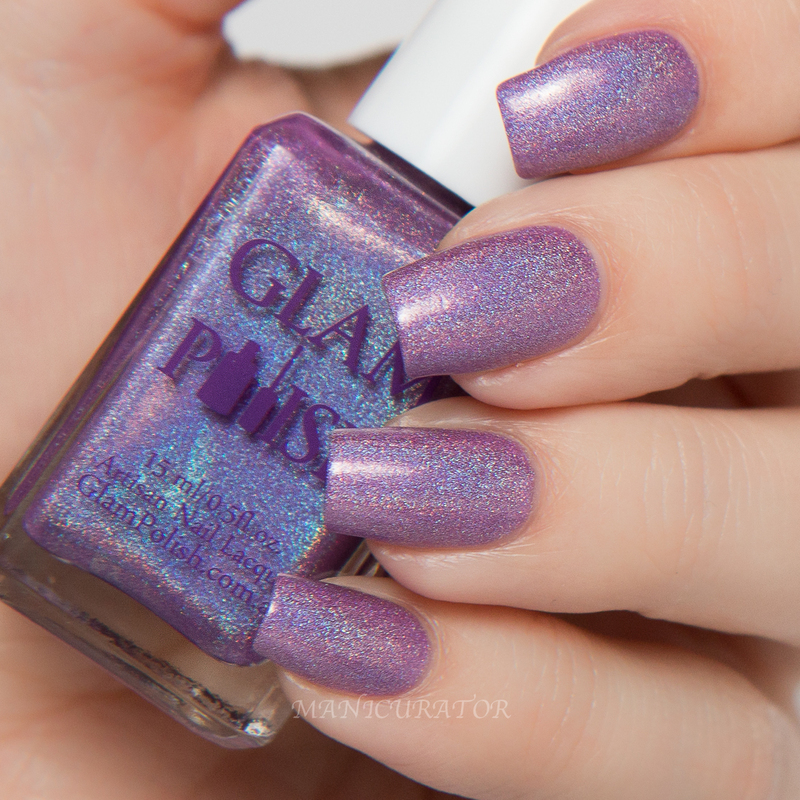 Such gorgeous shades for you today from Glam Polish! I have 5 of the 9 from the Knockout Collection Part 2 - Nine New Knockout shades with a strong holo effect or ultra holo glitter finish. 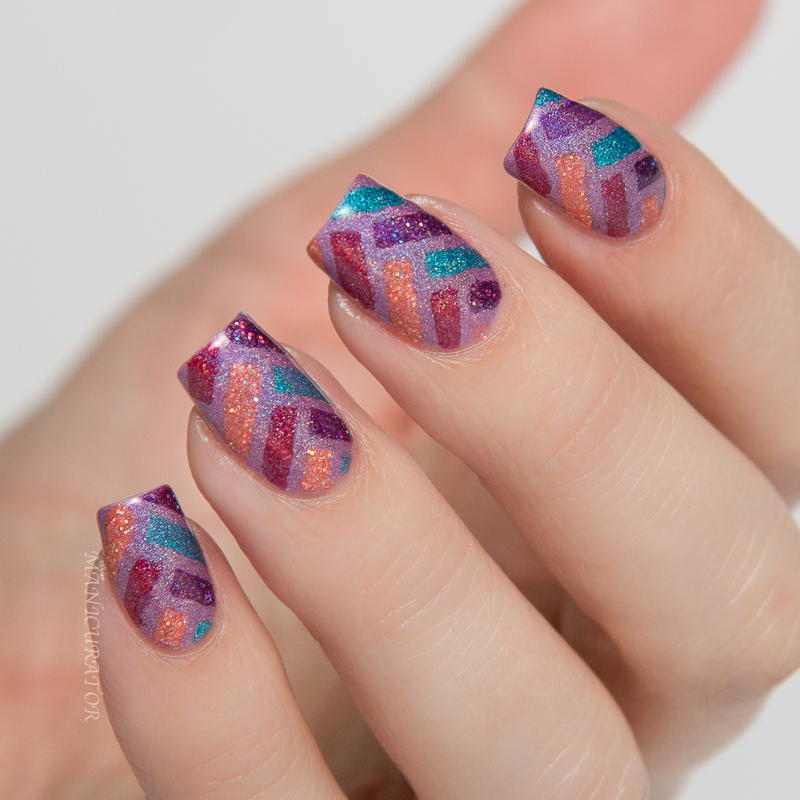 Glam Polish WOOSH! Lavender Ultra Holo. 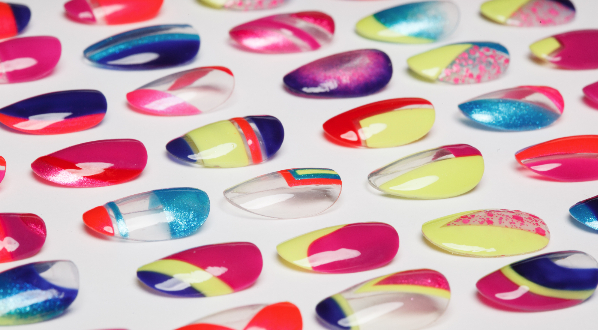 OK, this was my base for the nail design and holy moly was it ever beautiful! An easy two coats here. Perfect formula. THWAAK! - Black Ultra Holo. WHAM! - Sterling Silver Holo with Ultra Holo Glitter. BOING! - Lilac Holo with Ultra Holo Glitter. ZONK! Teal Holo with Ultra Holo Glitter. SMASH! - Red Ultra Holo, ZOOM! - Bright Blue Ultra Holo, POP! 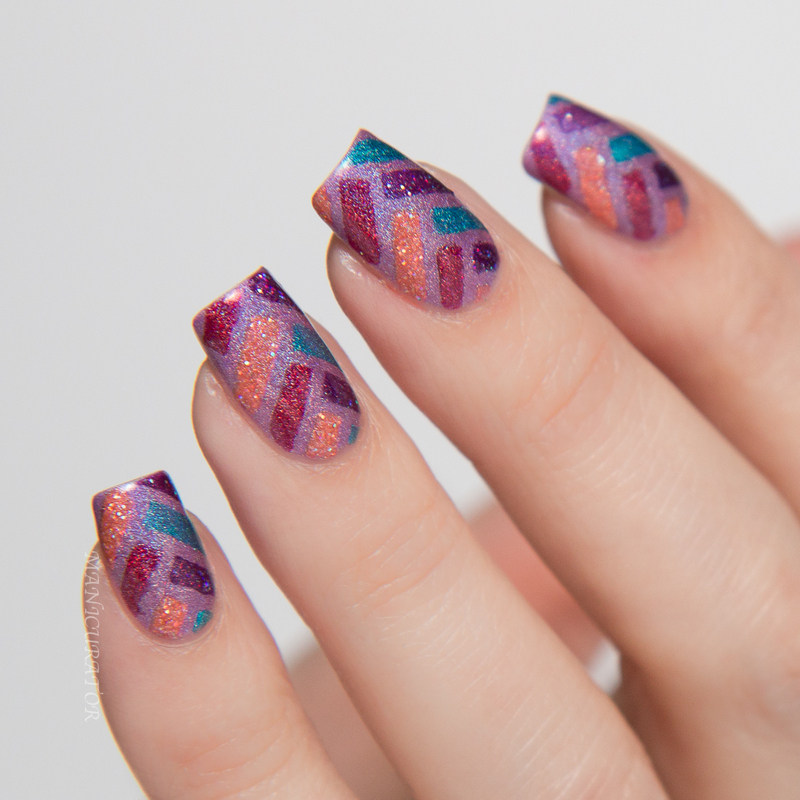 - Peach Holo with Ultra Holo Glitter, KRUNCH! 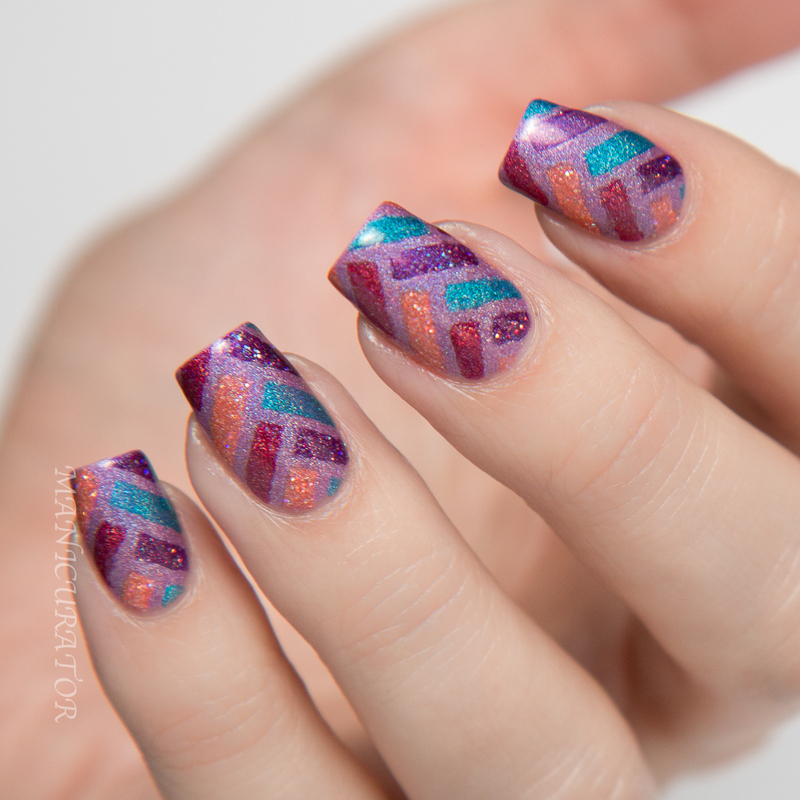 Purple Holo with Ultra Holo Glitter. 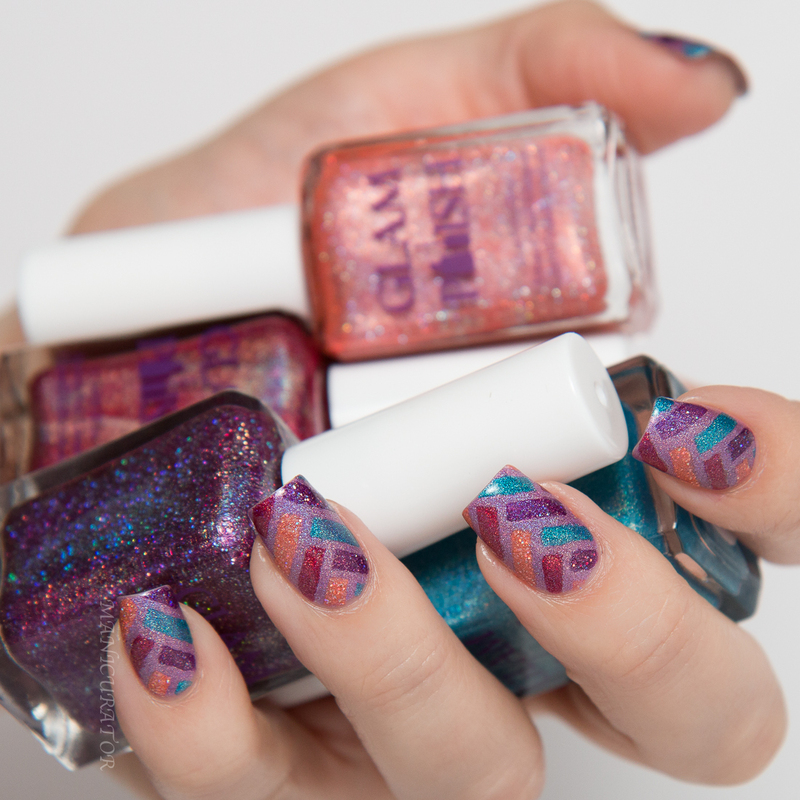 I don't think I'd normally reach for these shades to combine in one design, but once I put them together I definitely liked it! I used herring bone nail vinyls to create the design. 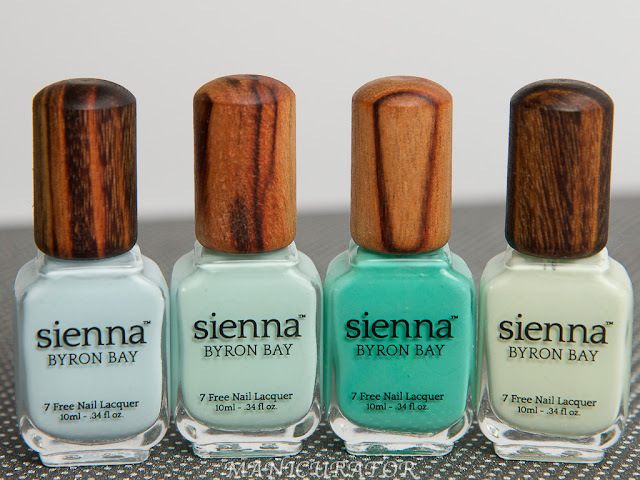 All the formulas are perfect, easy to work with and 2 coats (if that!) are all you need. 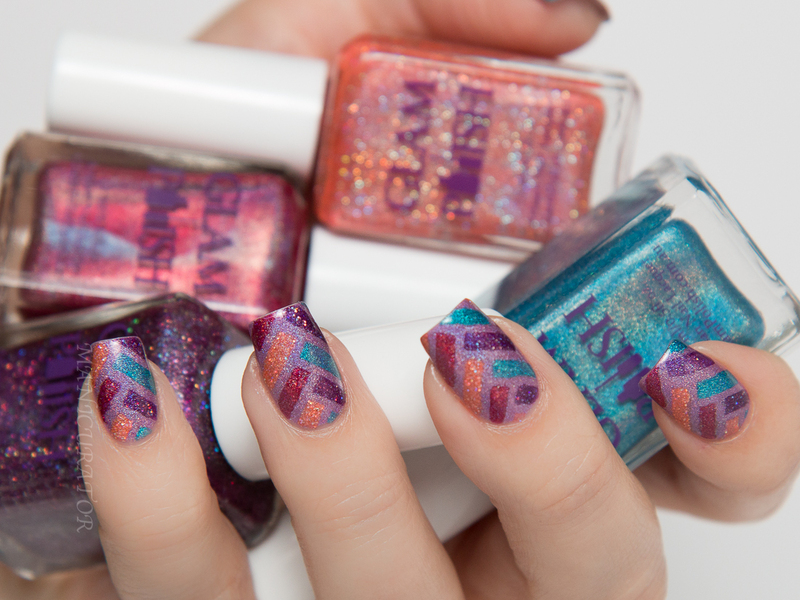 Oh and did I mention the full on holo goodness that you get with each and every one of these? I got lucky and wore these out on a sunny day. I almost blinded myself, couldn't stop staring at my own nails. I loved wearing these! What do you think?